The first step to take when you are considering selling your land or property. 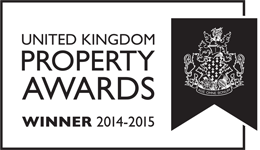 At Peter Doherty Land & Property, clients are provided with a Free Property Valuation with no obligation. Vendor clients receive private advice and top-selling tips on how best to present their property for the market. With professional training in photography, the agency is proud to continually produce property images of the highest standard. Honesty and Integrity have always been and continue to be the two core principles that the agency is delighted to adhere to every single day. Peter Doherty Land & Property is one of the only (if not the only) real estate agencies in the UK to guarantee Vendor clients a one-to-one direct service with the principal of the corporation from the initial property valuation to the final hand-over of keys at completion. 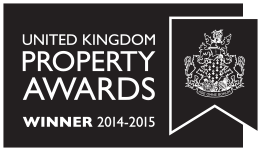 The Agency is thrilled to have been selected as the winners of two International Property Awards for the UK 2014 - 2015 in the categories of Real Estate Agency and Lettings Agency. It gives me great comfort to know our New Development sales are in good hands. Peter has always given 100% and so it is no surprise that his results are unprecedented.